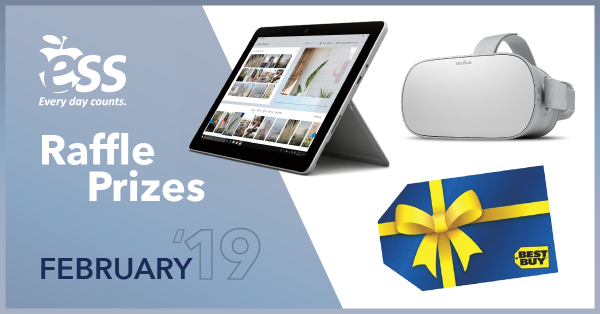 Work 5+ Days in February for a Chance to Win These Awesome Prizes! Attention ESS employees: If you work 5+ days in February, you’ll automatically earn an entry into our monthly drawing. The more days you work, the more chances you gain to win one of these awesome prizes!